On 13 July 1944, the Red Army reached Vilna. 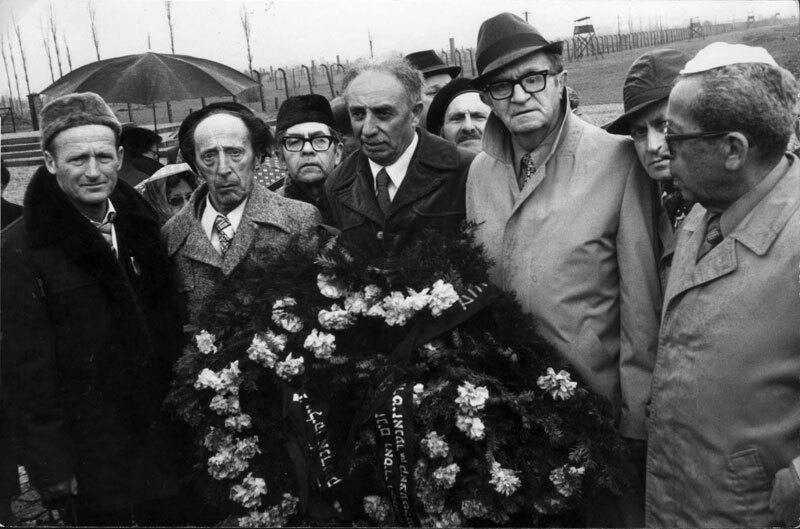 Among the town's liberators were Jewish fighters. 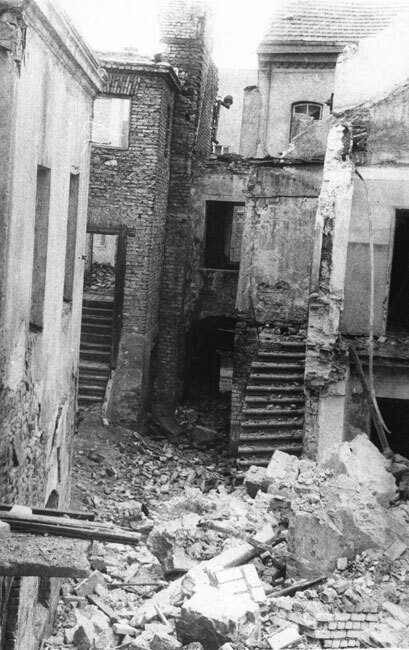 "Three days after the town was liberated, terrified figures of Jews hesitantly come out of hiding. 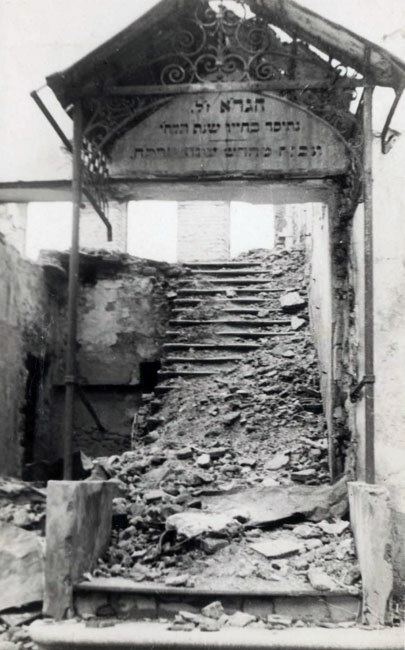 They slip away along the streets… including those that had hidden in the sewers for almost a year, in the realization that above the ground no Jews had survived, only those that had been beneath it…"
Scenes of destruction and desolation were visible everywhere. "My legs trudge along the alleyways of the ghetto that was. Naturally, I peek into the abandoned courtyard, where our headquarters once stood… weeds grow among the paving stones. Here was the Judenrat. The ghetto sports field. On the walls, images of youths and the words "Healthy Body, Healthy Mind." Opposite – the other world existed – the town market. Now, as then, it is teeming with people. 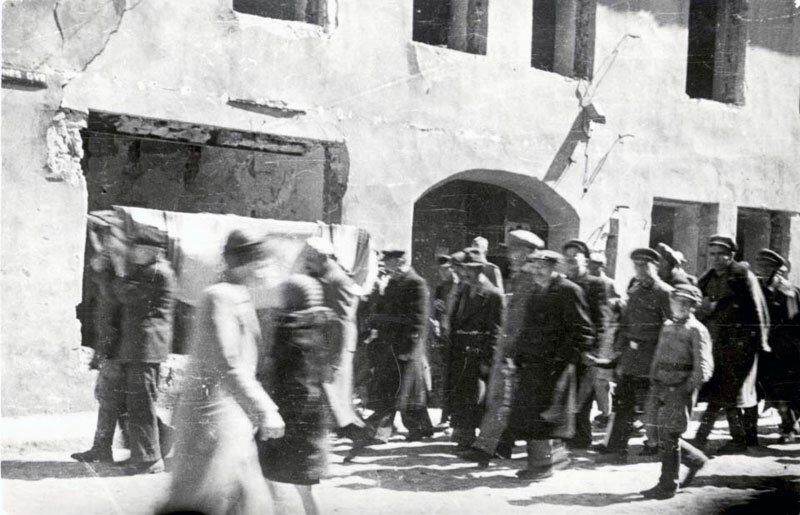 The gossipmongers are wrapping salty fish in the pages of 'Exodus', torn from the holy books printed by the Romm Widow and Brothers Publishing House, rolled up next to the stands…"
After liberation, some 6,000 Jews gathered in Vilna – partisans, those who had hidden in the surrounding forests and villages, Jews that had masqueraded as Aryans, survivors from other communities, and the first of those returning from camps in Estonia. 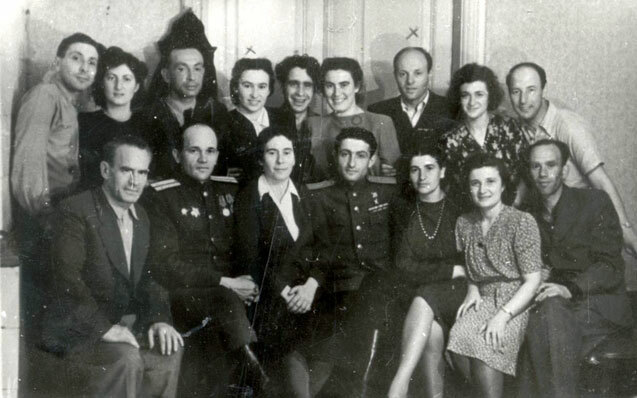 After a short while, Jews also returned from the Soviet territories. 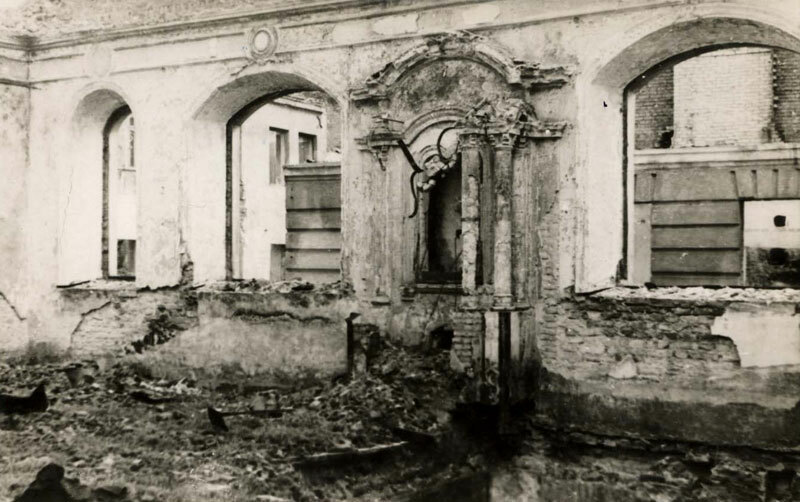 When the survivors from Vilna came back to their town, they found written on the door of the furriers' synagogue, on the second floor of the house at 19 German Street the following sign: "Sealed by the S.S." When they opened the door, they found the synagogue in perfect condition with all of its furniture – exactly as they had last seen it three years earlier. The bima, the benches, the siddurim on the tables, the holy scrolls, the parochet – as if they had left it the night before after the evening service. At once they set about reinstalling the prayer services, and opened the offices of the renewed Jewish community in the adjoining apartments. Rabbi Yisrael Guttesman… was appointed the rabbi of the community. 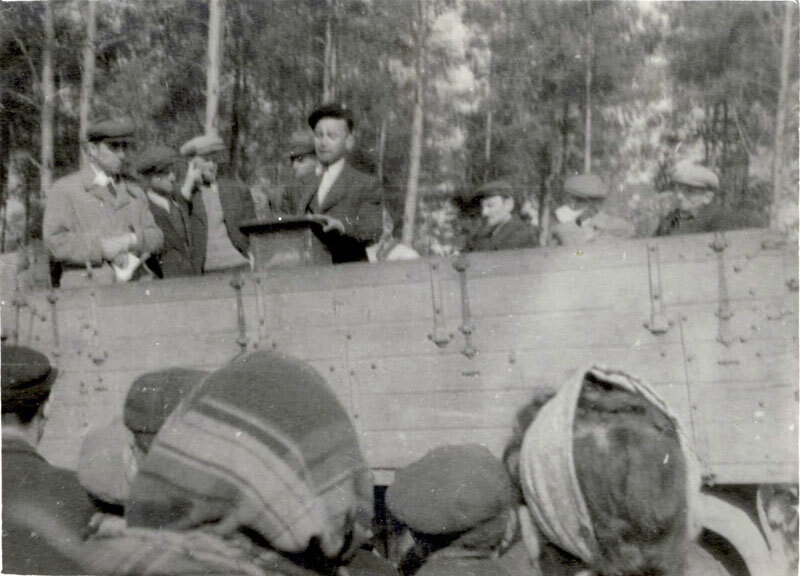 Immediately following liberation, those that returned began the business of collecting testimonies and commemorating the community. An historical institute was founded by Avraham Sutzkever, Abba Kovner, Shmerke Kaczerginski and Dr. Shmuel Amarant. 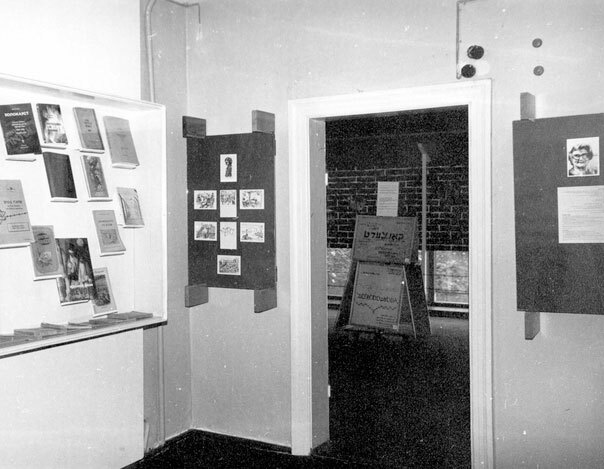 The institute collated all it could find in the different hiding places: journals and books, documents and diaries, artifacts and photographs. 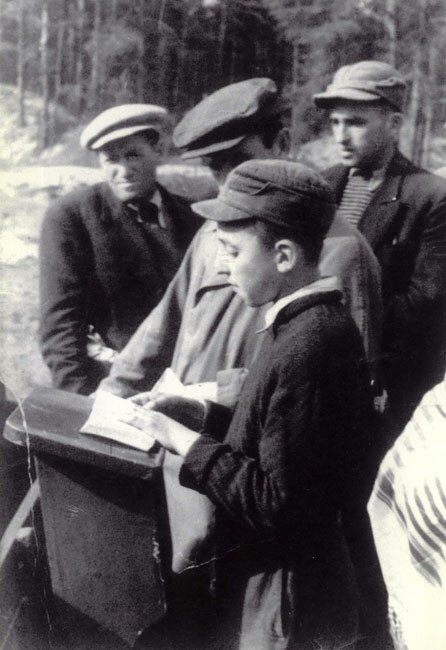 It also began to collect testimony from the survivors. 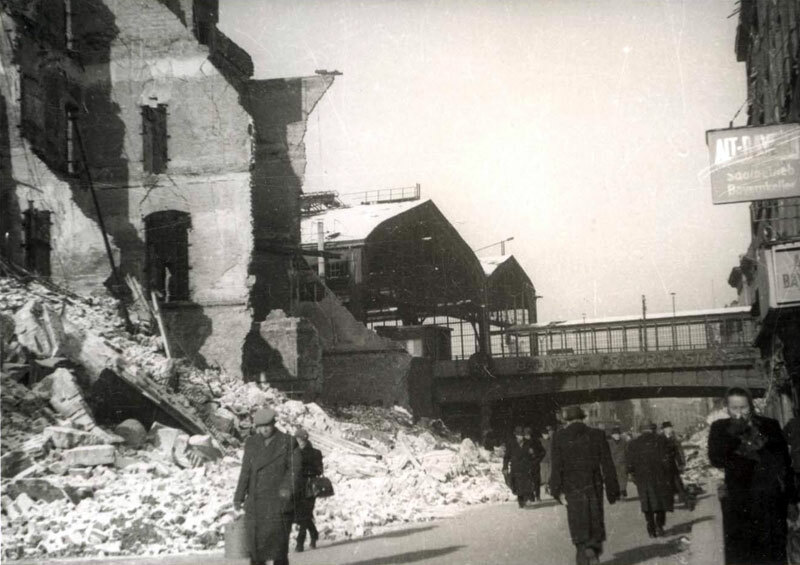 Many began to leave Vilna and emigrate to different countries. 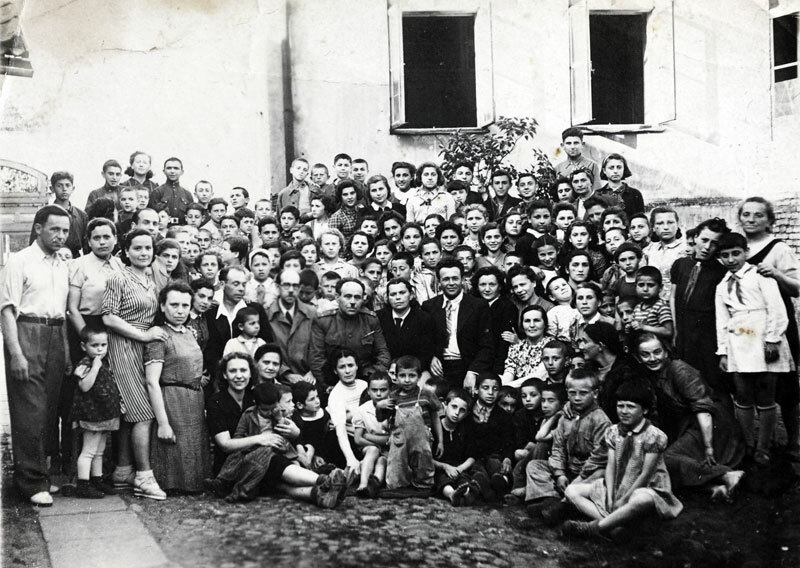 The Zionist youth were active in the Bricha movement, and helped with the escape of Polish Jews to Eretz Israel. התערוכה הוקמה בתמיכתו הנדיבה של מר נחמיה בורגין לזכר הוריו היקרים והאהובים ניצולי השואה זלטה (זהבה) בורגין ז"ל, ויחיאל בורגין ז"ל.